The market is set to witness growth because of increased investments in the residential and commercial sectors, infrastructure developments, and ability to reduce carbon emissions. According to MarketsandMarkets research report ‘Heat Pump Market’, the market is expected to grow from an estimated $ 54.34 billion in 2018 to $ 94.42 billion by 2023, at a CAGR of 11.68 per cent, during the forecast period. Upto 10 kW rated capacity heat pumps are expected to hold a large share of the total market, in 2018. This dominance is attributed to its large-scale application in the residential and commercial sectors, and growing investments in those sectors. 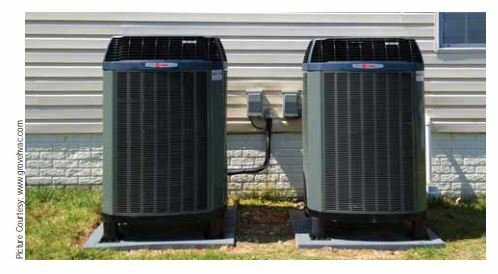 The residential end-user segment is expected to generate significant demand for heat pumps during the forecast period. electricity consumption. Thus, developers and owners of buildings are trying to meet energy-efficiency guidelines using equipment such as heat pumps. In this report, the heat pump market has been analysed concerning four regions, namely, Asia Pacific, Europe, North America, and Rest of the World (RoW). The governments in these countries are drawing up policies to ensure that energy-efficient equipment such as heat pumps are being installed in new buildings, which is expected to drive the market for heat pumps. The demand from China would lead the market in Asia Pacific. Growing investments in the residential and commercial sectors of the Chinese market is creating a huge demand for the heat pump market. Rising government regulations and policies for increasing energy efficiency and favorable incentives, a significant contribution of heat pumping technology in the reduction of CO2 emissions, implementation of large industrial and commercial projects, and refurbishment of the aging infrastructure in Asia Pacific and Europe would continue to create demand for the heat pump market. Technologies (US), Midea (China), NIBE (Sweden), Ingersoll Rand (Ireland), Glen Dimplex (Ireland), Stiebel Eltron (Germany), Viessmann (Germany), Panasonic (Japan), Mitsubishi (Japan), Vaillant (Germany), and Danfoss (Denmark).